Add some flavor to any holiday party, Christmas party, wedding, birthday party, bridal shower, baby shower, or black and white party. The white Splendorette crimped ribbon is the perfect accompaniment for the clear balloons. Ribbon measures 3/16" wide by 500 yards long. Can be used with helium. Perfect for crafters, florists, wedding and party planners, and decorators. 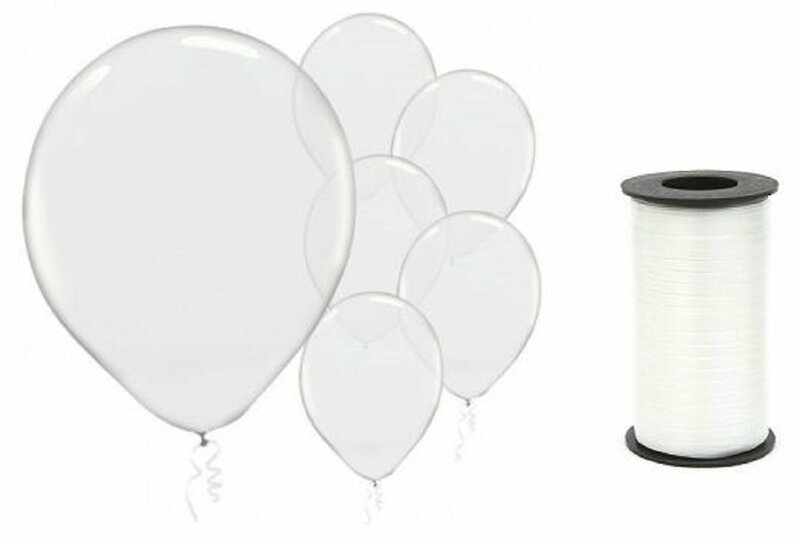 Balloons are perfect for so many occasions, don't wait to start the partyright and grab this collection of 72 balloons and white ribbon.